I am back to the scene but this time with a Honda :P Sadly I had to part out and send my beloved Mazda MX-6 to the wreckers last year, as the unibody was badly rotten and due to it being so weak, I twisted it.. whoops. 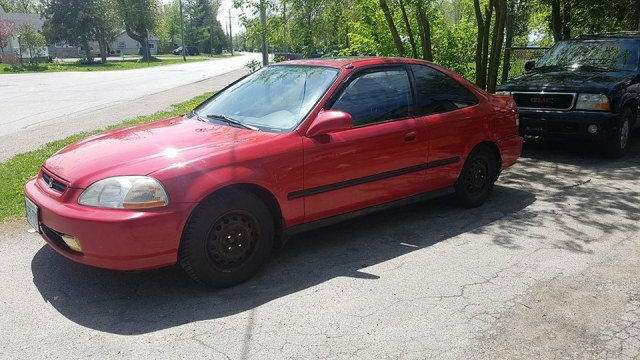 I miss that car everyday but I just picked up a 98 Civic Si last weekend and hopefully it'll be as fun to drive, which I am sure it will be. Either way, Hello again, My name is Amanda and I am in Northern York Region, Ontario Canada. So, this car has been around a little bit, as a friend of mine owned it twice but who knows where it has been besides that. It's basically stock for the most part except a few things but it's pretty minor and I am sure i'll be able to figure it out. 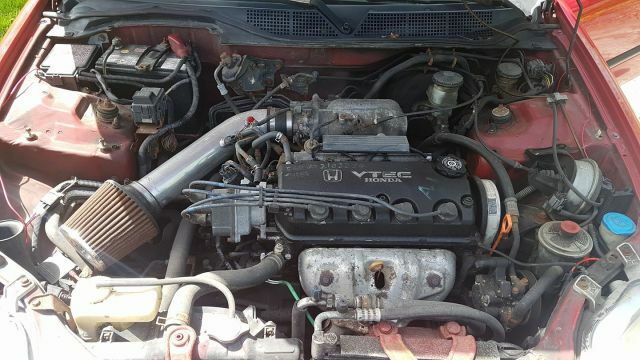 So this car did not come with the original motor, it is stamped D15b on the engine, as far as I am aware the 98 Si's came with a D16Y8 from factory, no? yes? Either way, I have NO idea the kms on this swapped engine but i am doing the sensible thing before I drive it too much (Waterpump, Timing Belt, etc), previous owner has no idea when it was done, he didn't even know it wasn't the original motor. 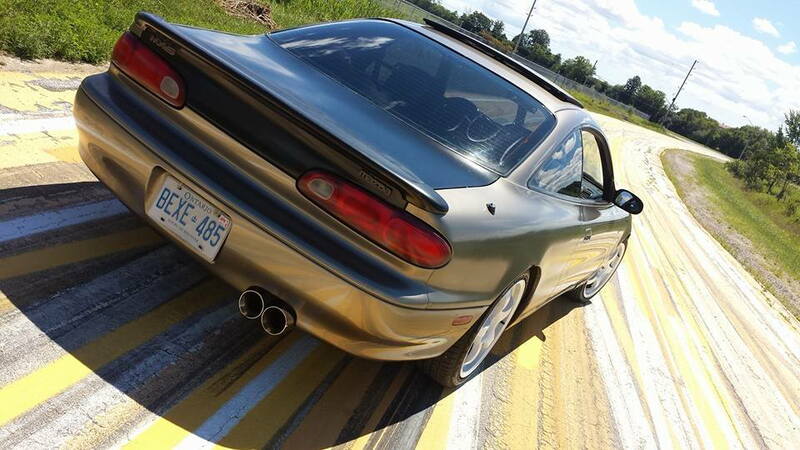 Anyhoots, It's nice to be back in the tuner scene, even though I have only been away from it for a year, it felt like forever..
And of course my beloved MX-6.. I had this car for many years, I loved this car. 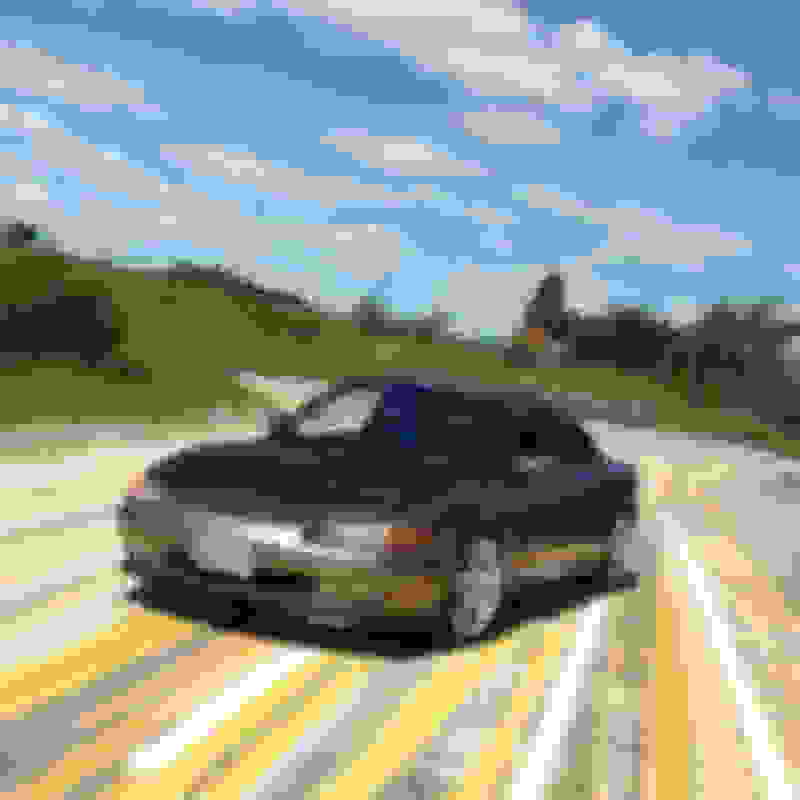 Hey Mandu the car comes stock with the d16y8 but the d15b has better cams. If you win the lottery you might have an lsd. The best is the higher rev d16z6 block with the higher lift d15b head. I actually just put one setup for sale now. Hello Amanda, I'm new to the forum and this is the first post i opened. Funny, I have a 97 DX with D15B stamped on my block too. and I just changed my belt. but I find out i have a ZC head. non vtec. and I had 103 teeth but I believe yours is 113, I'd count though to be on the safe side. Idk if you've ever changed the belt on a civic, but i did mine using the 50mm Spanner tool. and if your doing it by breakers and a sissy bar, I would HIGHLY recommend that spanner as my trans just wouldn't hold the torque. (it would slip the clutch under torque) and its only $10 on Amazon. I also rebuilt with cheap amazon gaskets and belt, but I hear the Yates belt is the best. And I reused my studs. just clean them up with wd-40. mines working great except for a bad sensor. but i'm having a great time pushing my little D15B and these small engines pick-up quick seeing how their rods are shortest on d-series and will rotate quickest on the crank. good luck and i hope to hear more from ya!